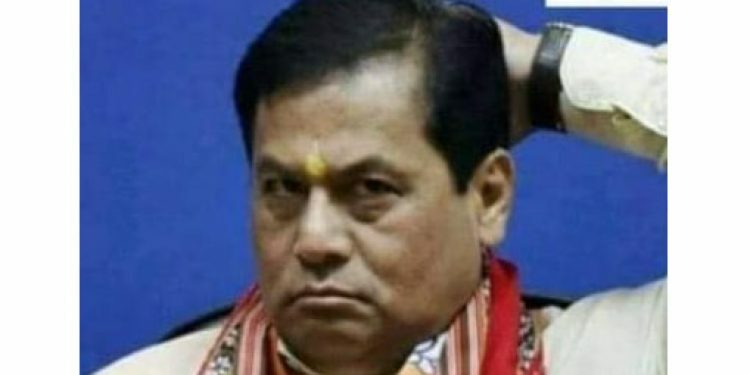 CONGRESS-BASHING: File Image of Assam chief minister Sarbananda Sonowal. Assam Home department is apprehensive that the on-going mass agitation against the contentious citizenship bill might turn more intense and violent if the bill is passed in the Rajya Sabha on Wednesday. It is learnt that the state home department has sent special messages to all deputy commissioners and superintendent of police across all districts of the Assam to remain alert to deal with any untoward incident. Directives were already sent from Dispur to all district administrations on Tuesday itself in apprehension that the controversial citizenship bill would be tabled in Rajya Sabha on Tuesday. However, amid pandemonium, the Upper House was adjourned on Tuesday with every possibility that the bill will be tabled on Wednesday. Notably violent protests erupted in Manipur on Tuesday even as hundreds of women vendors defied curfew and continued their sit-in protest in Imphal demanding withdrawal of the controversial Citizenship (Amendment) Bill 2016. In Mizoram, The Joint NGO Co-ordination Mizoram had called for a mass protest in the State on Tuesday where hundreds gathered at the city centre carrying black flags to show their resentment against the citizenship bill. The crowd also held placards with statements such as ‘Welcome Independent Republic of Mizoram’ and ‘Hello New Christian Country,’ signaling the desire for political independence from India. Similar situations cannot be ruled out in Assam too.